MATCH YOUR FAVOURITE RECIPES WITH THE PERFECT WINE! 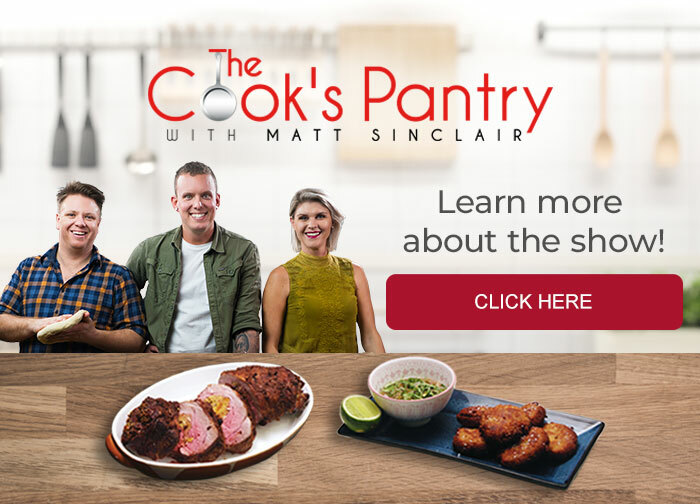 Airing 4pm weekdays on Channel 10, The Cooks Pantry stars Masterchef alumni Matt Sinclair, Courtney Roulston and Michael Weldon whipping up their favourite recipes for you to cook at home. And now Wine Selectors has joined the team too! Joining the hosts each week are Wine Selectors experts Vern Taylor, Adam Walls and Belinda Taylor, who help you match the perfect wines to the simple and delicious recipes. So tune in each weekday, check out the recipes you’d love to try - including Courtney's delicious baked prawn dish - then bring out their best by enjoying them with the perfectly matched Australian wines below!